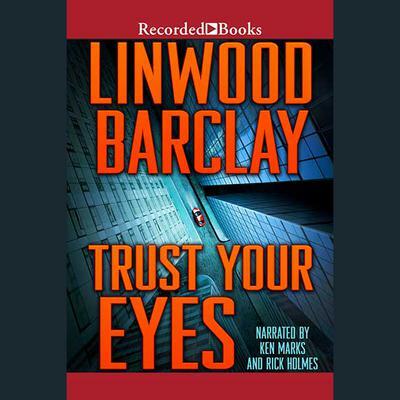 Best-selling author Linwood Barclay's The Acciden tinspired Stephen King to comment, ''With this novel, Barclay vaults to the top of the suspense pantheon.'' Trust Your Eyes follows schizophrenic Thomas Kilbride, who believes he's a CIA operative, as he explores and memorizes the streets of the world through images he finds on the Whirl360 website. While examining an image of downtown New York City, he thinks he sees a woman being murdered. Compelled to investigate, Thomas is soon drawn into a web of conspiracy and lies.